Discover the art of organic cheese making in the new movie of Landana Organic Gouda, the first and best USDA certified organic Gouda cheese from Holland! Click here to follow Landana Organic Gouda at YouTube. The USDA sets very high standards for dairy farmers to be able to label their products as Organic Cheese. USDA Organic Cheese is considered by some to be superior in quality, health and taste. All animal feed is certified organic, meaning all-natural. Milk producing animals are not given antibiotics and their diets is sourced from organic pastures. Organic cheese is free from artificial coloring or flavoring. 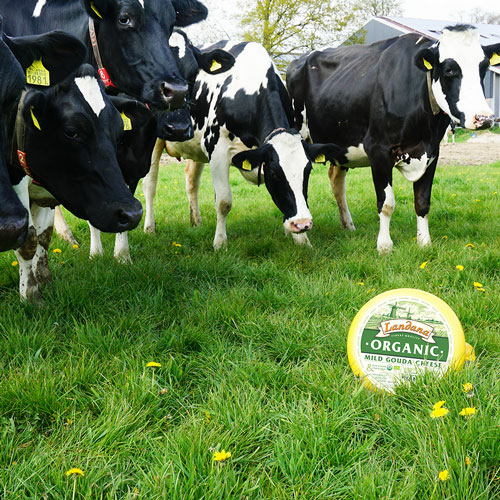 The taste and texture of Landana Organic cheese is largely dependent on the quality of the cows' organic nutrients of their natural environment. What's so special about organic cheese from Holland, is that this little country has many different terroirs and it is exactly those that determine the taste. The Dutch terroirs yield grasses that are more fertile, rich, thicker and longer than others, giving the produced milk for Landana Organic cheeses an especially sweet and creamy quality. The Dutch cows have not been given growth hormones or antibiotics and they have a good and comfortable life. This results in the best quality of organic milk that is used in the process of making Landana USDA organic Gouda cheese. Landana Organic MILD awarded with GOLD! 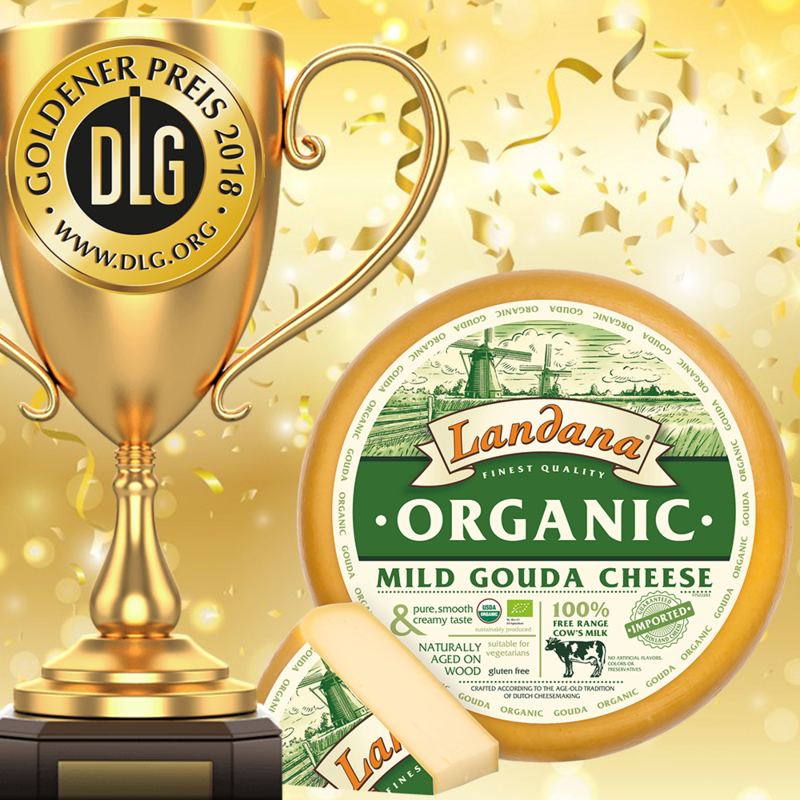 An amazing start of 2018: the specialty cheese Landana ORGANIC MILD have received a golden DLG award! DLG is an independent German organisation for agriculture and food research. The DLG experts evaluate the cheeses on their taste, consistency, aroma and appearance. The DLG field experts awarded the excellent quality of Landana Organic MILD with 98,60 of the 100 points. Landana provides the consumer with the traditional art of Dutch cheese making. Landana cheeses are naturally ripened on wooden shelfs in cheese warehouses in the Green Heart of Holland, a typical Dutch area with windmills, cows, green pastures and traditional crafts. The cheese master continuously turns the cheeses by hand until they have acquired the quality expected of a Landana cheese. The use of wooden shelfs for ripening Landana cheeses are essential in moisture exchange and in defining the final texture and flavor of the cheese. Wood regulates the cheese ripening micro flora and the humidity of the ripening area. The role of wood is crucial in the balance of hydration and drying of cheese, which is subsequently important for the development of the expected microbial ecosystem on the rind. Because of their porosity, wooden boards can both absorb and release humidity depending on the circumstances. In an environment that is too dry, they help to maintain humidity levels and prevent damage to the cheese from desiccation. Since its introduction in 2016, Landana Organic AGED has made an impact among the cheese experts. For the fourth time in a row this USDA certified Gouda cheese has been awarded for its excellence taste. At the Global Cheese Awards 2017, Landana Organic AGED has been recognized as Best Organic cheese. After aging for 10 months on wooden shelves, the cheese achieves a full and piquant flavor. Despite its extra-long aging period, the texture is surprisingly creamy and easily melting on the tongue. No artificial flavors, colors or preservatives are added and because of the vegetarian rennet, vegetarians can enjoy this cheese as well. GMO-free cheese, what does it mean? Landana has gone above and beyond to bring consumers its best selection for natural and organic cheese. 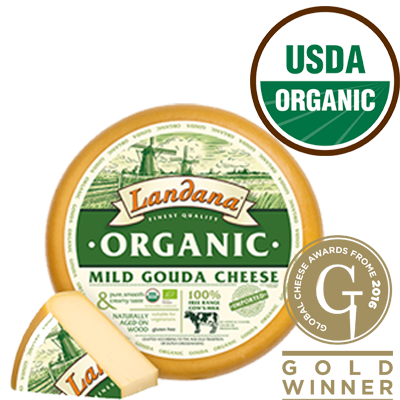 Landana Organic cheeses are GMO-free. 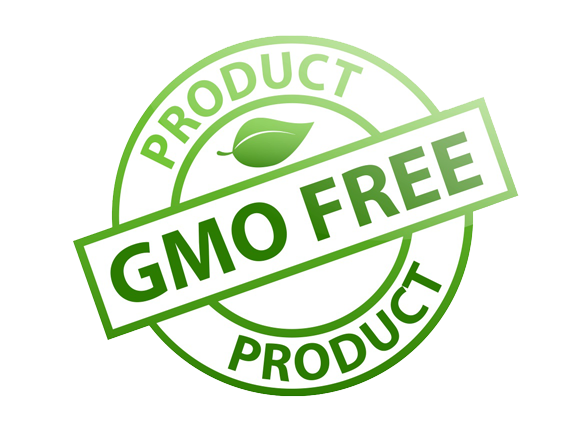 This means that Landana Organic cheese are free from genetically modified organisms. We believe that good cheese comes from simple ingredients farmed from sources you could trust. Our cows enjoy a constant diet of tasty fresh grass and nutritious organic feed to stay happy and healthy. Wine and cheese have a long history of accompanying each other. When enjoyed together, their unique qualities enhance each other, creating new flavor profiles and delighting the senses. Food and wine experts believe that the most basic element is understanding the balance between the "weight" of the cheese and the weight of the wine. 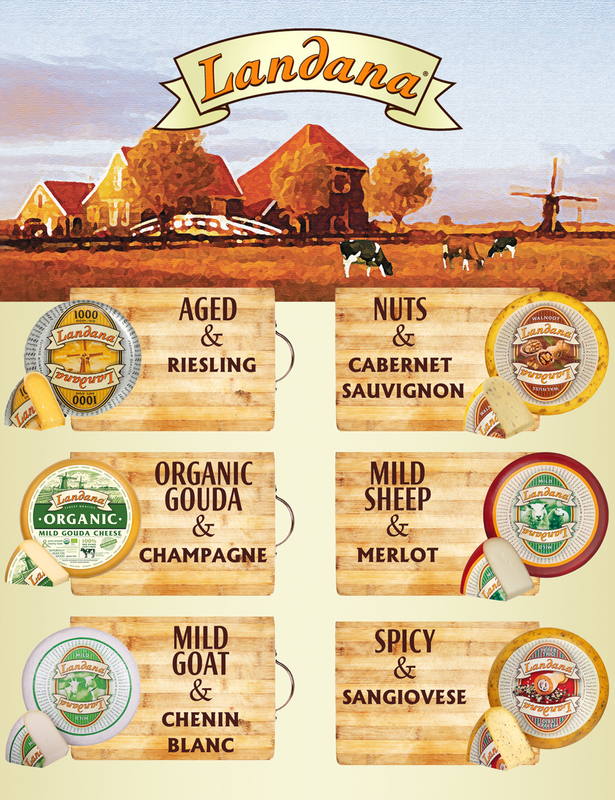 View below 6 wine and Dutch Landana cheese pairings. 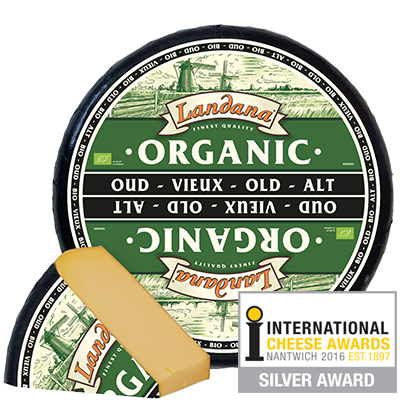 Our award winning cheeses Landana Organic MILD and AGED are not only unique for their pure taste, they are also free from additives. They are free from artificial flavors, colors and preservatives. 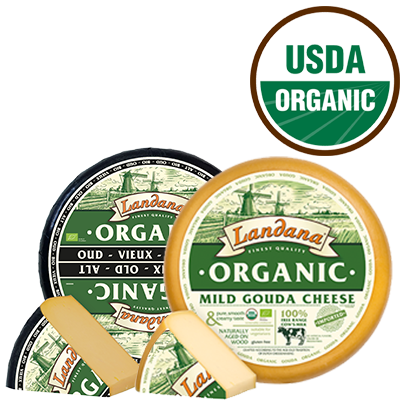 Landana Organic cheeses are furthermore GMO-free and free from lactose and gluten. On top of that, vegetarians don't have to miss out on the things they love, because of the vegetarian rennet in Landana Organic cheeses. Have you ever seen a Dutch dairy cow dancing? It’s spring and our happy cows sprint out towards the green pastures for the best milk and the exceptional taste of Landana ORGANIC cheese. Watch the movie below. Landana ORGANIC MILD and AGED cheese are made out of milk from outdoor grazing Dutch cows. There are only a few farms in Holland that are USDA organic certified, and they all supply directly to Landana’s cheese-making facility. All our USDA certified farms are certified according to the Meadow Milk specifications. This means the cows have free access to the meadows for at least 120 days, for a min. of 6 hours a day. The diets of the cows consist of nutritious organic feed and pastures. Which results in the best organic Dutch milk, a key-ingredient for the best organic Gouda. Spring in the Netherlands brings happiness to all of its inhabitants, particularly the cows. Due to the freezing temperatures in the Netherlands, the Landana Dutch cows are brought inside for the winter months. The farmers make them as comfortable as possible during these colder months undercover with mattresses, brushes and a constant supply of hay. Once Spring arrives, the day of their ‘release’ back into the fields is a very exciting time for these cows! On this special day, the barn doors are opened and the cows sprint out towards the green pastures. You can’t help but smile as you watch the cows literally jumping for joy as they reach the green grass, also known as the ‘koeiendans’ (cow dance). 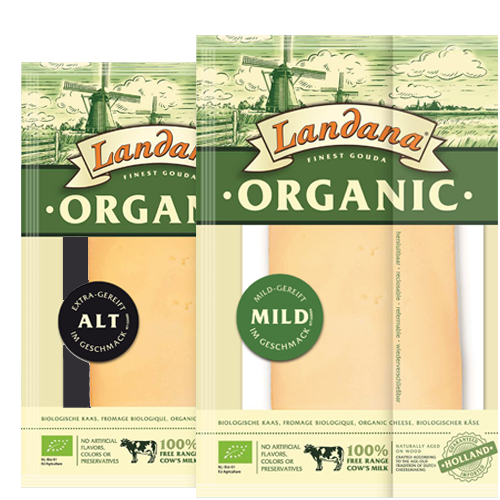 Based on the biological cheese specialties Landana Organic MILD and AGED, Landana is introducing pre-packaged slices of organic cheese. With these new products, as well as the pre-packaged cheese wedges, Landana will attract consumers of organic products looking for convenience. The naturally matured slices are available in a MILD and an AGED version and come in all-new, easy-open and easy-close packs of 150 grams. The slices can be easily separated and have no rind, ready to be put on a sandwich. For optimal in-store presentation, the cheese slices come in attractive display boxes of 10 packs, a good size even for smaller stores. 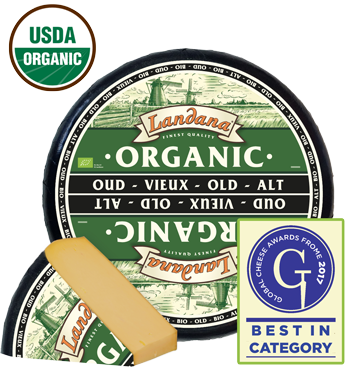 Landana ORGANIC MILD is the first USDA organic certified Gouda from Holland. This specialty cheese is made out of milk from outdoor grazing Dutch cows. The cows have not been given growth hormones or antibiotics, instead the farmers make sure the cows have a good and comfortable life. Their diets consist of nutritious organic feed and pastures. That way, the soils, water, air and animals stay healthy. This results in the best organic Dutch milk, a key-ingredient for the best organic Gouda. 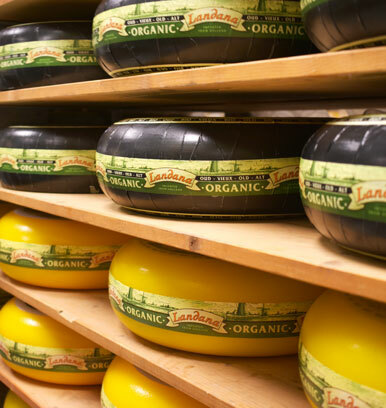 Landana ORGANIC MILD is made according to Dutch cheesemakers’ tradition, and naturally aged for at least 8 weeks. This semi-hard specialty cheese has a pure, smooth and incredible creamy taste and is delicious on a cheese board. This specialty cheese is elected best organic cheese in the world because of its excellent quality. Landana is proud to announce a new, extra aged addition to the organic range, ORGANIC OLD. This organic cheese is made out of fresh free range cow’s milk and is prepared using Dutch time-tested cheese makers' traditions. After aging for 10 months on wooden shelves, the cheese achieves a full and piquant flavor. Despite its extra-long aging period﻿﻿, the texture is surprisingly creamy and easily melting on the tongue. No artificial flavors, colors or preservatives are added and because of the vegetarian rennet, vegetarians can enjoy this cheese as well. 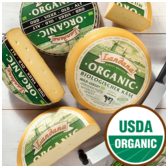 Landana ORGANIC is the newest specialty cheese in Landana’s extensive assortment. This organic cheese is USDA approved and meets the increasing demand of organic products. 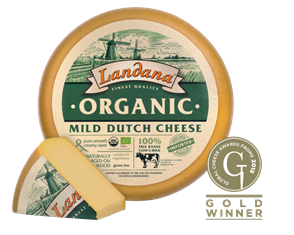 Landana ORGANIC is made with 100% free range Dutch cow’s milk, according to Dutch cheesemakers’ tradition, and is naturally aged for at least 8 weeks. Because of its pure, smooth and incredible creamy taste, this semi-hard cheese has been awarded with a gold at the Global Cheese Awards this year, right after its introduction. Landana ORGANIC contains no artificial flavors, colors or preservatives and is suitable for vegetarians and gluten-free diets.